The previous post on Eve looked at the dramatic repercussions of her taking the apple that was offered by the serpent/Lilith. As we know, she was expelled, with Adam, out of the Garden of Eden. Lilith was the first woman to be exiled, and Eve the second. I posited in the previous post that going against the status quo and disobeying ‘rules’ is often necessary for our psychological health and that the story of Lilith and Eve has relevance in today’s world in that we too need on occasion to break the rules or go against the common wisdom of the day. Why the need to move from unconsciousness and bliss to consciousness? Is there in fact a need and it is necessary to move from unconsciousness to consciousness? Why not stay in bliss when all is so pleasant and peaceful? What does unconsciousness mean? What does consciousness mean? Do they have any value? To answer this question in this blog is not possible so I will be concentrating on Eve’s courageous stance in taking the apple and what this means in today’s life, using the apple as symbol. Did Eve have an innate urge to move from unconsciousness such as there was in the Garden of Eden? Imagine if they stayed there for all time. Peace, bliss, harmony. No friction, no energy. It was too tranquil, too quiescent, too stable, too domesticated. No incentive to grow, no incentive to move beyond established boundaries. G.d, like a ‘good’ parent had to let them go in order to grow emotionally, spiritually, psychologically, mentally as humans. We as parents or adults also have to let our children go and grow and flee the nest with the hope that Providence will be on their side as they maneuver their way in the wider world of relationship, education, career and all the responsibilities attendant on that. As adults, we know from our own past experiences that life is never always smooth. There are many rough roads along the way. No-one escapes the hurly burly of life, unless they live in total denial. We know that there are times when we feel destructive and hateful even towards our loved ones. Or we feel sad and helpless at yet another failed relationship, even amongst our own families. We reach out for yet another double-strength whisky or chocolate muffin to quell those uneasy feelings that we are out of synch somehow in our lives. Or drive dangerously or spend recklessly or feel desperate about the world in which we live where corruption, war-mongering, honour murders, abuse of women or children seems to be the order of the day. The Latin for apple is ‘malum’ which means evil. The image of Eve eating the apple has left us all, many millennia later, with an image of woman being primarily one of sinfulness. So there is a link with apple – food – sin. The trace of this sin remains today, blamed as it was (and still unconsciously is) with the ‘Fall’ of Adam and Eve, caused by Eve. Is it possible that this imprint is in some way related to our unconscious over-eating or as a form of inter alia self destructive behaviour, a sort of unconscious self-punishment for being a woman; or as a way of expatiating our ‘guilt’ put upon us by our forefathers? When we find ourselves in a dark and destructive mood with an urge to do damage in some way, or we feel particularly ambivalent about ourselves, seeminglinly stuck in the staus quo, this is precisely the moment when we need to uncover the source of those dark urges and find a way not to use food as unconscious comfort, and to ask ourselves what the unconsconscious eating really means, Do we use food (or drink, or drugs, or socially condoned medication) as a way of ‘stuffing down’ as deeply as possible, those uncomfortable feelings and emotions that we don’t want to confront? Food is too often used as avoidance of undesirable thoughts and feelings. It is a time to get to grips with the complex and be prepared to do the inner work required to differentiate and discriminate and look deeply into our own inner souls to discover and uncover the impulse to over eating. This example of food as unconscious extrapolates into other areas of our lives where we act automatically, out of habit, blindly, with no conscious thought preceding the action. It is from that point of discovery of unconscious action that one can be more conscious and make wiser choices. It is from that point of un-covering that the destructive urge does not have be turned inwards; that one does not have to unconsciously punish one’s self. The struggle is about finding an appropriate choice or response in dealing with the matter at hand, invariably to do with relationship in one way or the other. This is the hard work required of us as contemporary women. Too often we choose to remain unconscious so as not to disturb the easy pattern of our lives. We live by proxy much of the time, taking what we hear on the radio or TV or newspapers to be the truth. We wonder why our partner is disappointing to us once the honeymoon is over. We wonder why we are dissatisfied and we have deep feelings of unrest. Could we have set ourselves up in an unconscious way for these disappointments? What expectations did we have, only to have them shattered? Perhaps we were foolish and naive in having expectations in the first place. Or arrogant. What role did we play in robbing ourselves of choice? It is imperative that we be aware of certain behaviours that serve only to distract us from our inner pain and wounding. It is essential to break from those learned patterns of behaviour that we may have witnessed in our own families when conditioning was at its peak. We do not have to go along with the script laid down for us by our culture, politics and history that has largely been patriarchal in kind. We need to be conscious as much as possible, and be aware of the responsibility that this entails. In part one on the commentary of Eve, I wrote on the story of Adam and Eve taking the apple that was offered by Lilith/serpent in the Garden of Eden, which forced their exile from Paradise into an uncharted world, with no maps to guide them and of which they knew nothing. In this second commentary on Eve, I want to consider whether we can view this biblical story in a new and contemporary way, and determine whether it has any relevance for us, psychologically. We often find ourselves stuck in the status quo with no clue of how to move or in what direction. Adam and Eve were perfectly contented in the Garden. All was at One, much like the babe in the womb, in bliss in its state of perfect undifferentiated unity. But perhaps it was too peaceful and passive. Perhaps they were like overly indulged children in the Garden of Eden. No personal boundaries were being stretched and there was no room for reflection or forward thinking or discernment. I suggest that it was necessary for them to get out of the Garden and its unity and unconsciousness. That it was necessary for them to experience what the the other world had to offer and to learn from experience what the Knowledge of Good and Evil really meant. I see Eve’s taking the apple in spite of the prohibition as a necessary act of disobedience. Sometimes disobedience of the rules is necessary for one’s psychological development. The story of Eros and Psyche illustrates the necessity of contact with the real world. This is the story where Psyche the beautiful maiden is deeply in love with Eros (son of Aphrodite), although there is a condition to their love. Psyche may not look upon Eros with open eyes as this will mean death to him and their love. Their love is pure and Psyche lives in an idyllic state. However, Psyche’s two jealous sisters convince Psyche that Eros is actually a serpent in disguise and must be killed while he is sleeping. Psyche takes their advice and one day, or one night, with lighted lamp and knife in hand, she approaches Eros to kill him. But a drop of oil from her lamp falls on his shoulder and awakens Eros. He has been betrayed and flees to Psyche’s suicidal despair. Now begins Psyche’s journey to selfhood and away from unconsciousness. Like Eve who took the first bite, so too does Psyche break the taboo albeit at her sisters’ jealous encouragement. “In this, the sisters function in a similar manner to the snake in the Garden of Eden which encourages Adam and Eve to break the taboo imposed by Jehovah. Expulsion from Paradise results in contact with real world and a development in consciousness” (italics mine). He also comments on the story of Bluebeard and says: “Disobeying Bluebeard’s command, his errant wife enters the forbidden chamber and discovers his guilty secret. Disobedience is about defying the dominant male, refusing to be subordinate and coming to self-hood. It is a necessary step on the path to individuation, and a realization in consciousness of one’s full self-potential”. Paul Tillich, the theologian, declares that the Fall is a symbol for the human situation, not a story of an event that happened ‘once upon a time’. Tillich says that the Fall represents a ‘fall from the state of dreaming innocence’ or, in psychological terms, an awakening from potentiality to actuality. His view and that of many learned scholars is that the Fall was necessary for the development of humankind. I suggest that Eve heard the knock on the door as Lilith/serpent offered the apple, and not only opened the door but entered in and beyond thus setting the scene for their expulsion, needed in order to develop their consciousness, a necessary requirement for today’s world and one worthy of deep and ongoing consideration. Both Lilith and Eve went against the status quo and by their actions got out of Paradise into the real world where they would face death and no longer be immortal; they would experience pain and pleasure, joy and sorrow, duality and disunity in the other world they were now to inhabit. They were now alienated from G.d’s grace. Perhaps in time they would come to value and appreciate that which they had lost and thus seek to return to G.d’s grace but this time in greater awareness, intention and consciousness. Eve lifted the veil from hers and Adam’s eyes – a courageous and intuitive act in her search for the beginning knowledge of the opposites – Good and Evil – a knowledge necessary for higher consciousness. Eve may have had a momentary illusion of power in her desire for knowledge of Good and Evil, but she brought the beginnings of consciousness into the world and this is surely an act to be celebrated. In closing, I hope I have illustrated how important it was for Eve – and Adam – to get out of the Garden for the development of their psychological growth i.e. to move from unconsciousness in the Garden of Eden towards consciousness in the real world where choice and free will is exercised – hopefully wisely. *Anthony Stevens: Ariadne’s Clue. A Guide to the Symbols of Humankind. Allen Lane The Penguin Press, 1998. This is a beginning blog on Eve – I will update in due course. There will be 4 or 5 further posts on this. As discussed in previous blogs, Lilith was banished to the depths of the Red Sea. G.d saw that Adam was lonely and so, when he was sleeping, He fashioned Eve from Adam’s rib and thus began their partnership in the Garden of Eden. All was peaceful, beauty and harmony reigned. They had need for naught. Paradise indeed! Lilith had learned much while in the depths of the Red Sea, torrid though it had been. For many moons and seasons, she had been observing Eve and Adam from a great distance whilst they played in the Garden, naked and innocent as the day they were born. She had been waiting for the opportune moment to present itself, to make her presence known. She had decided it would be Eve to whom she would appear, not Adam, for fear of his rejection as before. Her exile had gone on for too long now; Lilith felt the need to show herself and now was the time. Her time for brooding was over. She spied Eve one day – or was it the night – when Eve was leaning against the trunk of the Tree of Knowledge of Good and Evil. Eve was gazing upon the glowing apples almost within reach but high up, full in their ripeness, abundant, luscious. Eve herself felt that way sometimes, sensual, ripe and luscious. She stroked her hair, her shining locks spilling over her shoulders, over her creamy white breasts. A gentle breeze wafted over her, the scents of jasmine and wheat causing her to smile. Dappled sunlight cast light and shadow around her. The sound of rippling water reached her ears – ah! how pleasing it was! All so lush and fertile. She was content was Eve; she was at one in her Garden, though if truth be told, there was a nagging longing somewhere in her inner being, though she know not was it was. She loved these moments when she could be by herself. Adam was away elsewhere and these alone and quiet moments were cherished by her when she would wonder if there was more, somewhere, somehow … disturbing thoughts … but they made her feel more alive somehow. It was if her langour was pricked in some way. Then the serpent said to the woman, ‘You will not surely die’. Eve heard those words for the first time. Good and Evil. There was a stirring in her: what is this of which the serpent speaks? What did it mean ‘your eyes will be opened’? Was there something beyond, at present invisible to them, they who had power over their dominion? Good and Evil. What was this knowledge? Two words holding great energy, each seemingly in opposition to each other and yet somehow belonging together, each spoken with great gravitas by the serpent/Lilith as if each word held equivalent weight. Who knows what her thoughts or bodily sensations were while she pondered the snake and its offerings? She was unable to articulate her sensations, but there was a reaction in her – of doubt, questioning, curiosity – every cell in her being was heightened. What was this new sensation that touched and caressed her, yet also frightened her and that she felt at the core of her being? What were these stirrings and on what threshold was she delicately balanced? Which way would she tip? In a trance-like state, she took the proffered fruit. Beguiled no doubt, but she took it into herself. She took, bit, chewed and swallowed. This was the significant event – the swallowing – and it was sweet. Adam appeared and Eve offered him the apple and he too took, bit, chewed and swallowed. God then approached, giving them a little time to hide in the bushes to cover their newly realized nakedness and shame for they knew they had been disobedient. He spoke directly to Adam for it was to him that He given the initial command. Adam told God that Eve was to blame and that she had coerced him; Eve told God that the serpent had made her do it. So, is this theme of ‘blaming the other’, blaming the circumstances and generally passing the buck and thereby refusing to take responsibility for one’s own actions, not one that continues to resonate today? God banished them forthwith from the Garden of Eden, placing flaming swords over The Tree of Life to prevent them from attempting to use that as an escape route. From Paradise to Exile in one fell swoop, half-naked and with shame as their dire companion for their wrong doing, like frightened children they limped out of Eden. Both Adam and Eve were guilty of laying the blame elsewhere – in the other. The ‘sin’ as it were, was ‘out there’. Not for one moment did they think or feel that their act of disobedience resided within either of them. Neither was prepared to accept responsibility for their individual action. It was easier for each to deny their role and to blame the other. It seems to me that God was not necessarily angry at their disobedience per se. After all, the attainment of knowledge is no bad thing and perhaps this was a ‘necessary fate‘ i.e. their expulsion for their act of disobedience – for what child does not disobey its parents in its drive for later separation and necessary ego-development in becoming their own person with their own identity – as their parents wish them to do? But what was reprehensible to Him was their act of denial and their refusal to take responsibility. In a later blog, I will write about the necessity of contemporary women moving from the status quo for woman’psychological health and development .. and more besides. ‘The stone which the builders rejected has become the cornerstone’ : Old Testament, Psalms 118 vs 22. Meister Eckhart: The ground of the soul is dark. This past Saturday our small group of 4 women met for our ongoing study of the Black Madonna. Although we plan to meet every other Saturday afternoon it doesn’t always work out that way – some of us are not in town at that time or other reasons get in the way. Our last meeting was almost two months ago, so it was especially nice to re-meet and to get ‘back’ into the Black Madonna who we see as a form of Lilith. These meetings always leave us feeling a little more in tune with our own dark energies and hopefully a little more conscious of the role she plays in our every day lives. I mentioned to the girls that I had woken in the early hours that morning and stood on my balcony looking out and saw two huge stars in the clear night sky. Margaret said that the new moon – a mere sliver – had risen that morning and that the two stars were Jupiter and Venus. We talked about the new, dark moon relating her to Lilith, meaning ‘night’. We spoke of how the moon is usually regarded as feminine energy and the sun as masculine energy. This is a bit simplistic of course, as each contains both Eros and Logos and each needs the other for wholeness. Several blogs back (June 16) I wrote about the Black Madonna and more recently my blogs have been about Lilith. In this blog I want to connect Lilith and the Black Madonna and point out how they refer to the dark, earthy feminine within all of us – men and women. Why a Black Madonna? A beautiful, regal, black woman holding the baby Christ in her arms? We are used to seeing a pale, beautiful, golden haired, sacred Mary with her baby. Why black? Is the pale Mary the official one, and the Black Madonna the unofficial one? And, if so, what does this mean. Could she be calling us to our own darkness and depth? Could she offer the western world her wisdom in our maturing? Can darkness and depth be the deep unsolvable mystery of all mysteries? Have we been fleeing from the depths in our desperate desire to reach the heights? Is she offering gifts in the guise of challenges? Do we need her today? Is she cosmic? Do we see her as a black hole which would mean being swallowed up by her? Why are we afraid of the dark? To whom is the Black Madonna also linked? What is her history? She is one of the great goddesses from millennia back. She has religious and psychological significance which gives her a firm grounding. She has been linked pre-patriarchally, to inter alia Isis, Kali, Medusa, Hecate, Innana and her handmaiden, Lilith. There are said to be over 400 Black Madonnas around the world, many of them up until now hidden and only recently discovered e.g. Our Lady of Guadalupe in Mexico; The Black Madonna in Einsiedeln in Switzerland; Our Lady of Czestochowa in Jasna Gora, Poland to mention but very few. It is no secret that women have been regarded as 2nd class citizens throughout the ages. They have been seen as subversive in male dominated theology. St. Augustine (354-430 AD) wrote inter alia of women: “…in the faeces and urine of childbirth, the closeness of women to all that is vile, corruptible … in the curse of menstruation, she lay closer to the beasts; the lure of her beauty was nothing but an aspect of the death brought about by her seduction of Adam in the garden”. He also wrote that women have no souls. Between the 14th and 17th centuries, the time of the witch-hunts, more than a million women were subjected to vaginal and rectal searches and were either hanged or burned at the stake. From this time onwards and soon after the Black Plague that decimated much of Europe, the Virgin Mother became the Universal Mother as patriarchy began to seek for a more stable source of security. But, she was seen as ‘chaste’ and obedient. This perception of the Goddess meant unfortunately, that the more lustful and sensual goddess was driven underground into unconsciousness, into exile, to the detriment of both men and women. Patriarchy has been inclined to see women as submissive, good only for child bearing and in modern parlance, barefoot and tied to the kitchen sink and even today as man’s ‘property’. The ego-consciousness of patriarchy devalued the life-death-rebirth, instinctual values of women. Men took a stand against women for fear of falling prey to their wiles and seductive powers. The feminine principle stands for all that is life giving as well as life destroying, paradoxical though that may seem. It stands for chaos from which order emerges in a new transformative, transcendent form. It is both joyful and grieving. It is dark and fecund, like the soil of the earth. It embraces ALL in life, and in death. Pain and suffering, sorrow, grief, anger, destruction, wildness, non-conformity, death and darkness are all embraced by the Black Madonna. So too does she embrace compassion, joy, creativity, light, playfulness, mothering, nurturing, birthing, ugliness and beauty. She devours and she transforms. Nothing is meaningless to her. She knows that ALL is part of the whole of life and death. Wanting only the light and the good and the heights is an awful denial of the depths and is overly one-sided and fixed leaving little or no room for manoeuvre. This is not a call for a re-emergence of the matriarchal archetype over the patriarchal archetype but for an integration of the two. This feminine dark energy has been neglected and it is necessary to bring this energy out the shadows and for us to recognize that she speaks to us in a way that appeases our hungering souls. If these two complementary archetypes could be brought into play with each other, each recognizing the value of the other, we would be on the way to being more psychologically whole as we become more aware and awakened on a personal and collective level. Both men and women have suffered because of the repression of the feminine principle. Oddly enough, this served for the arising of ego-consciousness as masculine values of perception, behaviour and feeling came to be of supreme value. But I may write about this another time. Bringing the feminine back into our lives will be a bringing back of the cornerstone that was rejected. As I am writing this, I have just had a call from the Greek Embassy to say that I must not fetch my passport this Thursday as it is a Greek public holiday. My passport is in for a visa application to Crete next month. I asked her what the holiday is for and she said they are celebrating the birth of the Virgin Mary. I said to her how extraordinary this is as I am in the throes of writing about Madonna, specifically the Black Madonna. Personally, I am in awe of this sort of synchronicity and said as much to her. 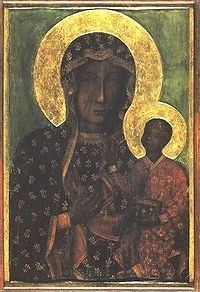 As usual, I feel I have bitten off more than I can chew in writing about the Black Madonna. I will write more on her in good time. But I hope that the links between her and Lilith can be seen and how whatever has been relegated into unconsciousness, WILL re-emerge in its drive for expression. My first post on the creation story was ‘Adam’s Rib…and what came before’. In that post I wrote about Lilith, the first wife or partner of Adam in the Garden of Eden and how she was exiled to the depths of the Red Sea, to be never seen or heard of again. My second post was ‘Lilith…a trailblazer’. My third post was ‘Lilith: her crisis in the depths of the Red Sea’. My 4th post was ‘Lilith-as serpent as symbol for transformation’. This post will consider whether we have a ‘Lilith’ within us and if we do, what does she represent or symbolise? What image do we have of her? Is she alive or slumbering deep within our souls? What relevance does she have for us today? In this blog I will touch on the polarities of Lilith, the first woman, exiled to the depths of the Red Sea for her ‘transgression’ in challenging Adam and heresy of all, challenging G.d and committing blasphemy. I will simply be making a few comments in the hope that you can see how she operates. I will write more on her at a later stage. It is said of Lilith that her energy is more destructive that creative, and she is variously known as the Bride of Satan, the Devil’s Consort and the tortuous serpent who, as a woman, seduces men by her intoxicating perfumes and scents, jewelry and clothing. She is known as the vengeful spirit who robs men of their sperm at night and who turns new born babes into demons as they take their first breath. Her energetic force grew as a result of opposition and suppression. Her spirit was broken but not indefinitely. We need to relate to her, for who among us has not felt wounded, misunderstood and despairing. We need to be aware of Lilith’s divine and demonic powers. She is not to be cast out and banished. She needs to be redeemed through our conscious awareness of her. Barbara Koltuv, in her book The Book of Lilith (1986) says: “Experiencing Lilith in her many forms is part of the process of giving birth to the feminine self”. Awareness of the reality of her demonic powers leads to a decreasing of that power – a lessening of that power – in a way in which that forceful energy can be used more creatively and constructively. From our darkness we long to be bathed in the light, to be comforted and mothered in loving arms. We have all experienced moments when we have felt tired or sick, betrayed or disappointted. We are vaguely aware of all the resentments building up inside us like a pressure cooker, or we feel our hearts hardening or closing down. The mothering that we yearn for at these times – some other to be the container for our sadness – may be unavailable. We need to look deep inside ourselves to find a way to acknowledge those dark energy-bearing feelings of hopelessness and despair, rage, anger and woundedness. Any dark energy stored in darkness tends to become distorted. When we disregard that energy, it turns against us to our detriment. If we can admit her apparently opposing tendencies, courageously bringing her out of the shadows, we will be more whole and thus more empowered. There can be no sunlight without shadows. We have every right to fear the darkness of Lilith and her rage, but rage has meaning and purpose. Our emotions are in large part our energy. Highly charged emotions have a vibrational pattern; they are valuable in that they disturb us – they are meant to – for they help to illuminate and elucidate those highly charged emotions that lie festering in the dark and thereby bringing them out into the open. The deepest work is is usually the work on the very darkest corner of our souls. Lilith was the bringer of Light, so that anger and rage at rejection and suppression in all its forms can be seen for what it IS. The primordial feminine very often appears as a monstrous serpent, yet it is out of that devouring darkness that energy can be transformed. The energy that has been used in blocking emotions is released and freed so that it can be used constructively. The light needs the dark. They belong together. What does Lilith in the guise of serpent, harbinger of change, represent to us? Our first reaction to the temptress may be one where we instinctively recoil in distrust and fear. We have an archetypal disposition to fear this highly dangerous creature with its fangs and forked, flicking tongue. Historically, the symbolism of the serpent has the association of sexual temptation, of being against G.d, and generally of being subversive and evil. But if we look beyond this grotesque and fearful image, we find in the same creature the power of transformation. In Hatha Yoga for example, the snake resides at the base of the spine, coiled upon itself in a ring. Through certain breathing exercise, the snake uncoils itself upwards, releasing energy into the six chakras until it reaches the forehead or the third eye where the manifested energy brings about a temporary sense of nirvana, bliss and wholeness. Aesculapias, the ancient Roman god of healing, is symbolized by two serpents representing the principles of sickness and healing, entwined around his staff. Serpents were renowned for their ability to seek out healing herbs and plants for the treatment of illness in the human population. Hippocrates (460BC) the father of western medicine, is represented to this day as a healer carrying a staff, around which is wound the serpent. Hermes, the winged messenger and trickster has two entwined serpents, symbolising good and evil, sickness and health at the top end of his staff. A point worthy of consideration is that the staff is rigid, straight and unyielding therefore related to the masculine principle, whereas the serpent coiled around it is flexible and yielding therefore representative of the feminine principle. This image of the staff and the serpent graphically illustrates the union of the opposites (masculine and feminine inter alia) contained therein. There are countless examples in the literature where the serpent is highly revered. Moses and the Israelites in the Exodus were sent a plague of serpents by G.d to kill them as a punishment for their idolatry. Moses however, cured his people by asking them to look upon the bronze serpent. The story of the Buddha tells how, after the enlightened One had gone through many and varied terrifying trials and tribulations brought on by Mara, that he met his greatest trial while sitting under the Bo tree. It seemed that a thunderbolt from the sky sent by Mara and her Furies would strike the Buddha down dead. But then, at the ultimate moment, the cobra, the King of Serpents, emerged from the shadow/darkness to offer the Buddha its hood for protection. Their is also the serpent with its tail in its mouth; half the snake is dark the other half light, like the yin yang symbol. This portrays inter alia the ambivalence of the snake. It is neither one nor the other. It is both. It is both passive and active, constructive and destructive. The snake both kills and cures. The shedding of skin symbolises metamorphosis and transformation. We too as individuals need to shed skin or stretch out of a skin that has become too tight and restrictive. Nature does this automatically – we as individuals need to work at it. Our old skin needs to give way when it no longer serves its function and purpose. It needs to be discarded, so that a new skin can grow to meet the requirements of the inner and outer world. It is unhealthy to hold onto an old skin that no longer fits. It means a loss of the old skin, that with which we have been complacently comfortable. Underneath our old skin is a new skin; a skin, shiny, moist and of vibrant colour, yearning to show itself. We can embrace the shedding of the skin we know, opening ourselves to change and all the new experiences it brings. Dreams of serpents invariably are of change in one way or the other, though it is prudent NOT to make any immediate interpretation. Next week I will look more fully at Lilith and comment on her valuable role in today’s world. Sometimes, when in crisis, it is important to do nothing for a while and just sit in the awfulness of it. It is not the time to jump out of the fire to avoid the burning, but to endure and sit in the flames. Julian David, a Jungian analyst resident in Devon U.K., gave a lecture to the Jung group here in Johannesburg, South Africa some years ago. I made a note of his words from that lecture: ‘When you are in the fire, when you are burning in the flames, you have to sit in the fire, to be strengthened. If you try to protect yourself you are not strengthened‘. It is a time for no-action. I see Lilith in the flames, sitting, with her knees drawn to her chest, her chin resting on her knees, her arms and hands wrapped around her legs. She sits; she doesn’t move. She knows she has to be here and now is not the time for her to escape. There is nothing else she can do. She must and will endure. In the flames, she must resist the temptation to jump out of the fire and not be burned. She must be burned. But the fire slowly strengthens her. She kindles the fire adding new branches to the furnace to keep the flames burning. She is kind to the fire. She feels akin to it. She stirs the ash. Perhaps she is reminded of things of beauty that were fashioned after being in the fire, beautiful crystal glass work, ornamental beads, clay pots, beautifully crafted and fired, made from the same substance as she. Slowly she feels that she is being forged and fashioned, that the fire is strengthening her. She feels purified by the fire. Perhaps she wonders in some way if this is an alchemical process, one that takes a long time and furthermore, she knows not what lies in store for her. And she feels the absolute stillness of doing nothing, a dynamism. She senses the paradox in this, senses that stillness and movement somehow belong together even if they appear to be completely opposite to each other. She feels her blood quicken in some barely discernible way. Her frozen heart is melting. She feels a sharpening of wits, while at the same time a lessening of her previous bonds. She feels looser yet tighter at the same time. Her perceptions and attitude change. She sees that there is more. It seems to be out of her grasp but worthwhile reaching for and waiting for. Lilith is in the fire but also in the depths of the Red Sea, wet, not only from those watery depths, but also very much from her tears. Tears of rage, frustration, anger and deep, deep sadness at her plight. How in the name of heaven did it come to this? A life of mutual joy and co-operation with Adam was not to be. She was rejected not only by him but also by G.d, discarded, exiled and thus thrown upon herself. Perhaps from her personal experience of rejection, surely the deepest wound to her psyche, she learned never herself to be the instrument of rejection, hurt and wounding. Her own wounding showed her the path. From her extreme anger and sadness, there was a glimmer of the potential of its opposite, i.e. that of compassion and joy. Mr. Nelson Mandela endured 27 years in exile on Robben Island, yet he emerged victorious after his isolation, with his heartfelt message of peace, compassion and humility. And above all, forgiveness. He has stated that he saw those years of confinement as necessary for his development as an individual in that he gained a broader vision of his place in the world. He stated in his autobiography, that the only way to make an impact on society and one’s fellow man is to effect a change in one’s self. It is necessary, he said, to let your fellow man know that you pose no threat to him. He is a living example of how one person can make a difference and a living symbol of what can be transcended. Even his name is like a mandala. There was no place in his heart for bitterness. For Lilith in the watery depths and Mr. Mandela in prison, there was a sense of trust and hope that there was a way of being, beyond the confines of the given world at that moment even though, given their circumstances, it precluded the ability to exert any control over it. All each could do was to fall back only on themselves and wait until events conspired in their favour. Lilith … a trail blazer. In the previous post ‘Adam’s Rib…and what came before’, I wrote about Lilith, the first ‘wife’ or partner of Adam in the Garden of Eden, who was exiled to the depths of the Red Sea for her refusal to be subordinate to Adam and for her blasphemy of G’d’s ineffable name. But she does arise again, as does anything that is swept under the carpet, or repressed. It is true that she was angry and wildly hurt at her unfair expulsion. Who wouldn’t be in her shoes? She refused to be submissive to Adam and she paid the price of exile for claiming her equality with him. This rejection was a profound and almost mortal wound to Lilith’s psyche. She spent a long while in the depths of the Red Sea, patiently licking her wounds and cleansing them with her salty tears, patiently biding her time for her return to right the wrong, all the while wondering what her crime was. She was after all born at the same time as Adam and in the image of G.d.
She was quickly demonized and according to the patriarchal myth projected on to her, it is she who causes the death of babies at birth; she who causes men lose to their sperm at night as a result of her nocturnal torments; it is she who wears seductive perfumes and jewelry to entice men away from their wives or commit unnatural acts and generally, whenever there is trouble, the projected Lilith is at the core. She is seen as sinful, frightening and threatening to male supremacy and it is no wonder that she has been repressed by the patriarchy. Men, it seems, have projected their fears onto this unidentified creature seen as the epitome of all the evil in the world. What does this mean to us in our contemporary world? All of us, men and women, have been wounded in one way or the other by the repression of the feminine. From time immemorial, we have all experienced rejection, hurt, pain, grief, unfair treatment, abuse. Many of us have endured unhappy childhoods when we felt we weren’t loved enough, or had absent parents either physically or emotionally, or suffered abuse from those who were meant to care for us. Our parents, grandparents and ancestors have all been wounded by the artificial divisions between the feminine and masculine archetypes – we owe it to future generations to break the pattern and to not pass on to our children or those within our milieu those seemingly entrenched and unconscious behaviours and attitudes. We each of us carry a part of personal and collective wounding. It is with us today, not only in women but men too. The feminine has been deeply and mortally wounded; but it is in the wound that the greatest gift can be found. Men contain the feminine within and women contain the masculine within-this is how it is. They belong together and are not exclusive of each other. Masculinity and patriarchy are not synonymous. Masculinity is not power, nor is it patriarchy. True masculinity is NOT the enemy of the feminine. The masculine is the lover of the feminine and its protector. We need to seek answers to our paralysis of vitality or creativity or inherent power and to take back what has been repressed. This is sometimes of our own doing or of our own collusion. It requires diligent and hard work and a willingness to plummet the depths to get to the core of our wounding and an honesty that is difficult to bear. Lilith is to be viewed as a trailblazer for her courage in refusing to remain in the Red Sea. She knew she had to face the outside world again and not remain hidden. It was necessary to arise again, necessary to approach her sister Eve who usurped her role as first wife. She was not defeated in spite of her banishment. Lilith I think, knew that Eve would listen to her and she knew too that it was imperative that Eve did not remain within the boundaries of the Garden of Eden. So too, do we need to bring Lilith out of the shadows and to get to know her better – all her polarities, her dark and light, her joy and grief, her creativity and her destructiveness. Lilith was the one who brought about the fall .. a necessary fall from innocence, or as Paul Tillich puts it: the Fall represented “a fall from the state of dreaming innocence” – an awakening from potentiality to actuality. This Fall, as mentioned before, was necessary to the development of humankind, into consciousness and all it entails. It is a challenge to us all, men and women, to heal the rift for our psychological, emotional, spiritual and physical wellbeing. According to the ancient creation story of the Bible, you will recall that Adam was lonely in the Garden of Eden when G.d created him. So He fashioned Eve from Adam’s rib while Adam was sleeping, so that he would not be alone and would have a mate to enjoy His creation and hence Eve came into being. What many of us do not know, is that according to the *Midrash*, there was a woman before Eve whose name was ‘Lilith‘. Who was this mostly unknown woman and what relevance does she have for us today? At a later stage I will look at the repression of Lilith and the projection of ‘guilt’ put onto Eve and what relevance this has in today’s world and more besides. According to the Midrash, Lilith was born at the same time as Adam, from the same clay and dust as Adam, both in the image of G.d. They were equal in every way. But, as in contemporary relationships, difficulties in communication arose at times. There came a time when Adam disputed Lilith’s equality with him. Adam wanted Lilith to be subservient to him. This infuriated Lilith. She was very angry indeed. She begged G.d to help her make Adam see reason but G.d also did not hear her plea. So hurt and angry was Lilith at this further rejection that she blasphemed against G.d and, because of Lilith’s blasphemy, G.d banished to her to the depths of the Red Sea to never be seen or heard of again. We all know only too well that when something very upsetting happens in relationships, we hope that by not paying any attention to the distressing incident that it will just go away. But it is never like that in real life – anything that is dismissed, rejected, exiled or swept under the carpet in the hopes that it will never arise again, always does arise again, in different shape or form. Lilith spent a very long time in the depths of the Red Sea biding her time for her return. She chose her moment to return when Eve was languishing under the Tree of Knowledge of Good and Evil. Lilith appeared to Eve in disguise as the serpent, and offered Eve the apple, which Eve accepted, bit into, chewed and swallowed. We know that G.d found them hiding and banished them both from the Garden. And we know that Adam blamed Eve and Eve blamed the serpent. We know too that women have forever more been blamed for their fall from Paradise. Another way of looking at this psychologically, is to acknowledge that Adam and Eve HAD to leave the Garden and make their way in the real world, albeit one of duality. From pleasure to pain; from life to death; from divinity to mortality; from G.d’s grace to alienation, perhaps at some later stage to return to the One-ness of Paradise. Many scholars see the necessity of Adam and Eve leaving Paradise and this is not viewed as a ‘Fall’ from Paradise. It is rather seen as a way forward to consciousness. Sometimes injunctions (many time patriarchal injunctions) have to be disobeyed for psychological well-being or consciousness. G.d I think, was not enraged at Adam and Eve for disobeying his command not to eat the forbidden fruit. Rather, He was appalled that each blamed the other and did not own up to their ‘misdeed’. Each blamed the other – something that continues to reverberate in today’s world. I think this is why He banished them from The Garden of Eden: to learn what ‘the knowledge of good and evil’ really means. And that the choices that they made henceforth in a new uncharted world, would have consequences. He knew He had to let His children go at some stage as we all know as parents that our children must leave hearth and home, hopefully with sound values instilled in them. Adam and Eve had to learn the distinction between ‘good’ and ‘evil’ in the new world they were now thrust into. Hopefully they would make wise choices when called upon to do so, foreseeing consequences and unintended consequences. Psychological consciousness is required for this. Being true to ourselves is the first step. * Midrash*: Exposition of the Bible…mostly dating from the early Middle Ages, and they are a valuable source for the religious ideas of the Jews of the time. The Talmuds also contain a great deal of Midrash. Well, I had never thought in those terms and I am not sure that I can. But of course, some experiences do stand out, of which I will write more at some stage. I think that overall, being exposed to different cultures, was an eye-opener. Here, in South Africa, as a white, professional, middle class individual, I am used to relative comfort. All my life I have had a roof over my head; both parents present (even though our family was the usual or ‘normal’ dysfunctional one); 3 meals a day; delivered to and fetched from school daily, taken by my mother to e.g. ballet classes, sports events. As a married woman and mother to two adult sons, my life is, on the surface, materially comfortable and pleasant. I have had the privilege of a university education and now in my ‘later years’ continue to have the means to travel and live in comfort. I assist my husband in his medical practice and get paid for it. I continue to study and write. I employ a housekeeper who has been with me for the last 30 years. I have had my share of sadness and unhappiness and I have no clue whether more ‘trials’ will come my way. I know that most of us face trials and tribulations along the way, irrespective of economic standing. What does a life of privilege really mean? I understand for me that it means giving back when and where I can and I try to fulfill this duty or obligation in the way I best can. What does this have to do with my ‘reflections on return’? If I think back to our recent travels in Asia and our witnessing every day living on the streets, I was struck by the level of comfort or otherwise experienced by the people. I couldn’t help but wonder if I could live in such conditions. This was more so in Laos where the poverty levels seemed high as evidenced by grimy streets; tiny, grubby little shops; communal eating in front of shops which doubled as homes if I peeked in. What does it mean, if anything, being born when and where I was, at that time? If my fortunes changed overnight and I was left without a roof over my head and was living hand to mouth, would I survive, coming from a life of relative privilege as I have? But more importantly I think, is my question: what would be my world view if I had been born into less prosperous and crippling conditions (according to my world view)? Would I be strong spirited as one reads of others who have surmounted enormous challenges? What does it take to rise above one’s circumstances? Would one want to if the family was loving and kind and the community was supportive? It’s always lovely to be home … All is well here, my husband is well and pleased that I am home … he says he missed me so that is nice. The cats are fine and all seems to have proceeded apace in my absence – perhaps this recent adventure of almost 3 weeks could be a sort of a ‘trial run’ for future adventures though I won’t mention this to my husband. It will make him nervous … perhaps he’ll come along next time. Neil is chillie’d out, ginger and garlicked out, onion and vegetable’d out and almost noodled out since my return… a nice way to eat. Though I think he is hoping for a change of ‘menu’…. This is my first opportunity since arriving home to put pen to paper so to speak. It is a task that needs completion and I have returned after all. I know that I am yet to fully process this trip in a psychological sense. I know too that I process things after the event, which is not to say that I do not experience them in the moment. But I am a ‘late processor’ whatever that means. I would love to maybe write/blog more at a later stage about the travels and maybe introduce a philosophical or psychological slant to it all; and perhaps a photograph or two if/when I learn how to make camera computer friendly. I can click through my camera and view them. I purchased it in Hanoi. Dinky little Nikon with an extendable lens .. My own digital camera! And I can mostly use it! Though I still managed to switch it off instead of pressing button to take the picture…. The traffic in the cities – Hanoi in the north of Vietnam and Ho Chi Minh (Saigon) was absurd. Mad, wild, yet there was an order to it. Crossing the streets – I kept my eyes closed mostly peeking only every now and then in getting across. I am not exaggerating. Motor cycles in their thousands on every street, dashing in and dashing out. A sight to behold. It is really very remarkable and part of the ‘trick’ is, I think, that no-one rushes on their motor cycles. Leisurely pace …faces of men, women and young adults are friendly, relaxed, open and the riders often have passengers, even babies, in front of them and maybe someone else behind. Many with masks around the lower half their faces. There was order in the chaos and this was remarkable to me, and to Susan. Susan was extremely able in crossing. She related the story a friend of her’s told her recently on her return to Phoenix, Az. Her friend said that when she and her husband were in those SE Asian cities some while back, she and her husband would take a TAXI to get from one side of the road to the opposite one when in the cities! Things were quieter traffic wise in Cambodia though just as hot and humid. From Pnomh Penh we bussed to Siem Reap a 6 hour drive away, to see Angkor Wat the next morning. It was extraordinary country, lush, green, homes close to the road. When we finally arrived, we were taken to our hotel from the bus station by Kieng in a tuc tuc who fetched us the next morning to take us to Angkor Wat and the temples. They were beyond magnificent, grand and awesome in scale. I would love to attach some photographs at some stage and write a little more about them. We walked in the humid heat, down passages, into atriums, bowed at Shiva and Buddha, lit incense, said prayers. Keing fetched us at various intervals in the tuc tuc to go to to more temples … altogether an experience and a half. It’s Monday night 28 May. We are in Phnom Penh, Cambodia, arrived ex Saigon or Ho Chi Minh City as it is also known (HCMC) this evening. We walked the busy streets this evening here in PP in search of local food which we found. How to try to distil these last few days into a few words without writing a travelogue? HCMC … Yesterday .. The Cu Chi tunnels .. An extraordinary maze of tunnels – 250 kms long – built initially in 1948 by the erstwhile peaceful villagers of Cu Chi to fight back and protect themselves from the invasion of the French and then the Americans in the Indo-China conflict. We stopped in at a cemetery called the City of Sorrows where 50,000 Viet Congs are buried, those who lost their lives in this appalling conflict. The cemeteries are beautifully maintained in all parts of Laos and Vietnam. The dead are truly honored. From the Cu Chi tunnels we stopped in at beautiful temple where the religions of Catholicism, Confucianism and Buddhism are blended in the wish to take from each its best and thus to have the perfect religion. We witnessed a service in progress. We lunched, just Susan and I at a local family’s home where we we served the most delicious meal by the most gracious people. Poor, yet all clean and spotless, flowers in pots, chickens running around. What is it about traveling to unknown places and not going on organized tours and rather finding out about different cultures in our own way and time? What do we hope to achieve by doing this in our rather unorthodox way? We wonder how much we are influenced by our western cultures and how much propaganda we are fed by our own? How important it is, we are coming to realize, to broaden our world view and to see the world through different lenses and not remain trapped in our comfort zones. we visited the Re-Unification Palace this morning in HCMC. This was North Vietnam and South Vietnam negotiating an end to the conflict between the two regions and was begun in 1975. After we had walked around the Palace we asked two young women at the information kiosk how it was for them that north and south Vietnm was now united? What was interesting is that they said they they look only forward. Evidently they were not a part of the conflict. Susan and I discussed this and thought how true this is that the young lead the way forward and the elders seem to hold on to the past. The past is never to be forgotten since it does to a significant extent determine the future; but how refreshing it was to hear these young women looking forward to the future. I can’t help but think of South Africa and be hopeful that the youth will lead the way for a better future for all…. Phomn Phen … A very poor city is our first impression of walking the streets this evening. We are anxious about visiting the killing fields of the Khmer Rouge tomorrow …. Pol Pot. We arrived in Hanoi, Vietnam last night. It is blessedly cooler after the heat and humidity of Luang Prabang Laos, and Chiang Mai, northern Thailand. So far so good. Susan and I have walked the streets, eaten where the locals eat and put unknown sauces onto unknown food which has been so delicious, very inexpensIve and nutritious. We have bused to temples, walked three times around the Buddha while saying the Buddhist prayers. We’ve boated on the Mekong and stopped in at villages along the way. We’ve walked up 328 steps to see another glowing Buddha and made our obeisances to him. We’ve made purchases of beautiful hand made or hand woven goods at a small cost to ourselves in the bustling markets which the locals frequent. We have seen snakes in oil in glass bottles, tiny birds in tiny cages which for a fee you can buy and set free. Susan and I have talked at length about the people we’ve observed and interacted with. We’ve wondered about the eastern attitude in relation to our western one. We wonder about their way of being in the world, and our western way of being in the world. I feel we can learn much from them. They seem rooted in their culture, so warm and friendly with ready smiles and willing to help where they can. We wondered whether there is the same striving for economic wealth and material goods that we westerners have. In Luang Prebang, Laos, now a UNESCO world heritage site since 1995, people have welcomed the economic advantages that this has brought to the country. Do they yearn for a higher standard of living such as we are used to? What may be sacrificed? we are going to explore Hanoi today. We walk a lot taking in the sights and sounds. Later… I am not sure this got posted. So will re try. I am not sure how I feel – in a sense I am on auto-pilot. I think I am organised. It was not nice however waking up in the early hours this morning with a toothache and realising that I have a slightly wobbly crown which is what is causing the toothache. Will I have the courage to phone my dentist this evening and ask him if he would see me very early tomorrow morning? I don’t even know if he is in town .. Once before when I was visiting my sister in Cape Town I had an excruciating tooth ache which required antibiotics. I do NOT want to go through that again in ‘other countries’ – I do have an antibiotic on hand if I need it but I have nearly choked to death before on those bombs … which makes me think that if I need to see a dentist in Thailand, or Vietnam, Laos or Cambodia then so be it ..
Can anything go wrong at this stage? Besides my tooth? I will be re-assured when Davey my younger son lets me know that he has returned safely to Cape Town, from playing a gig in Plettenberg Bay on Friday night. He is on the road as I write. The trip is about 550 kms. I was watering my garden yesterday afternoon and wondering how it would look on my return. Is there is enough compost, acid compost and potting soil bought by me a few days ago to keep the gardeners busy? I wondered whether this would be the last time I would ever see my garden … morbid silly thoughts but those are the thoughts that I sometimes have – I do not dwell on them but they do enter my mind. Will I manage without my laptop? Should I take my cell phone and buy a chip for it in those foreign countries so that I can sms the family and let them know that I am alright? How will it be in a foreign country? What if .. what if .. what if … but there comes a time when I say to myself amongst my usual angst, to take it as it comes, take it as it comes and hope that Providence will be on my side and the future awaits! May the future be bright for you!